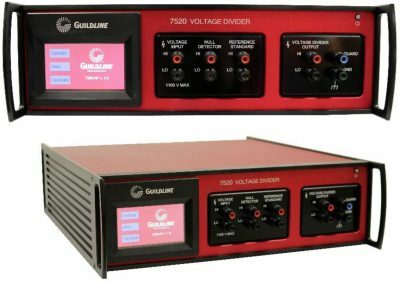 Guildline’s 7334 Series of Resistance Standards are designed for high accuracy resistance calibration in air, without the need for stabilization in a temperature controlled bath. These standards are suitable for both AC and DC applications. They can be used as working standards or highly reliable and rugged transfer standards. 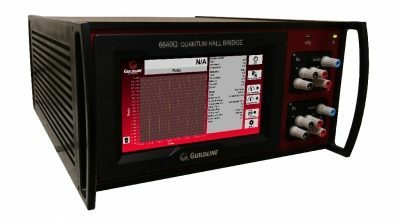 They are extremely useful as references for AC Temperature Bridges, for the calibration of resistance ranges of multi-function calibrators and high accuracy DVMs, as well as being used in more classical standards and calibration in resistance measurements. 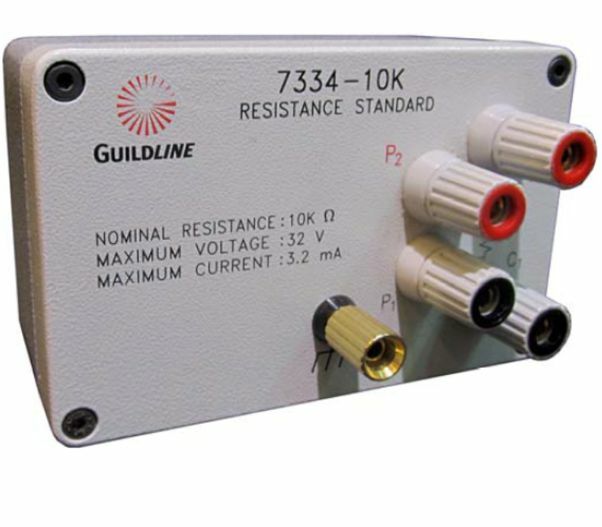 Guildline Instruments 7334 Series of Resistance Standards are designed for high accuracy resistance calibration in air, without the need for stabilization in a temperature controlled bath. These standards are suitable for both AC and DC applications. They can be used as working standards or highly reliable and rugged transfer standards. 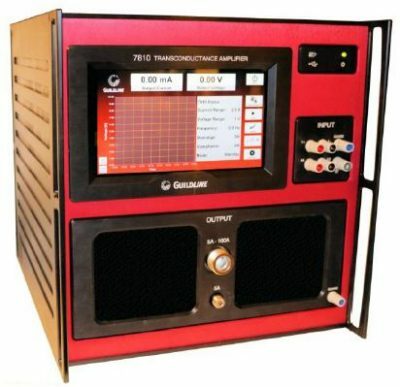 They are extremely useful as references for AC temperature bridges, for the calibration of resistance ranges of multi-function calibrators and high accuracy DVMs, as well as being used in more classical standards and calibration in resistance measurements. Hysteresis error is typically better than to 0.1 ppm when stressed at 3 times the maximum voltage, and less than 0.3 ppm over a temperature cycle between 0 °C & 40 °C. Connections to these resistance standards are made via gold plated 5-way binding posts. In DC measurement, these gold plated binding posts yield the lowest thermal EMF when connected with gold, copper or silver. BNC connectors are also available upon request.